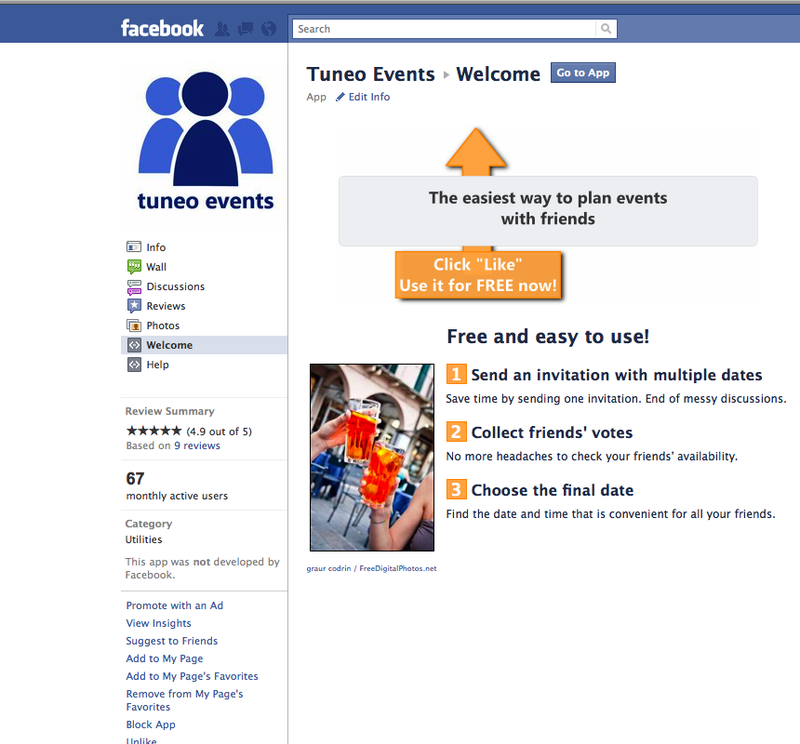 How to easily schedule an event on Facebook with Tuneo Events? You want to get together with your friends but you don’t know what date and time to pick? With Tuneo Events, you can easily find the date and time that is convenient for all you friends with votes. 1. Go to http://www.facebook.com/tuneo.events and install the application.